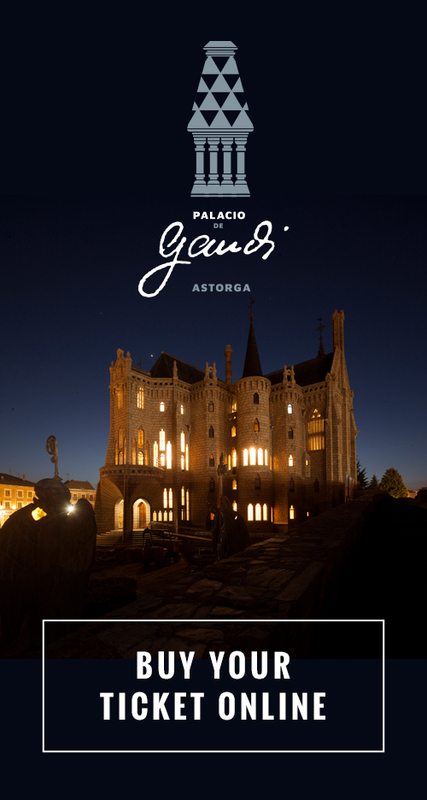 It is a neo-Gothic building, built with granite stone from Bierzo, with features of castle, temple and stately palace, surrounded by a moat. It consists of four facades flanked by four towers and the main and rear by their pointed windows give the building a character of Gothic temple. Access to the interior is through a portico; the enormous voussoirs of their flared arches, form with each other, with the support of the building, a small piece of rubble stones. In addition to this main entrance, the building has an exit or access to the exterior on its NE facade from the first floor to the wall walk. And there is also another exit or entrance to the cathedral through a small granite bridge over the moat. It is a building with a Greek cross plan inscribed in a square. Its gable roof is made of slate and is bordered by a continuous granite balustrade. The chimneys probably designed by Gaudí should form together with the three angels designed by him to finish off the roof, an attractive set that we have never been able to admire. As consolation, the three angels with their episcopal attributes are placed in the garden. Basement: Totally open space without divisions of rooms, intended in principle for Diocesan Archive, Epigraphic Museum and cellar. Today it houses an epigraphic, numismatic and lapidary collection. Draws attention to the robusted of its facing, very coarse pottery and common stone. Endowed with a unique arch in the whole palace proper of the Gaudí tracing, the catenary arch. And surrounded by the pit that serves this space of light and ventilation. First floor: Plant for the figure of the Bishop with the various units that are organized around the magnificent central space. 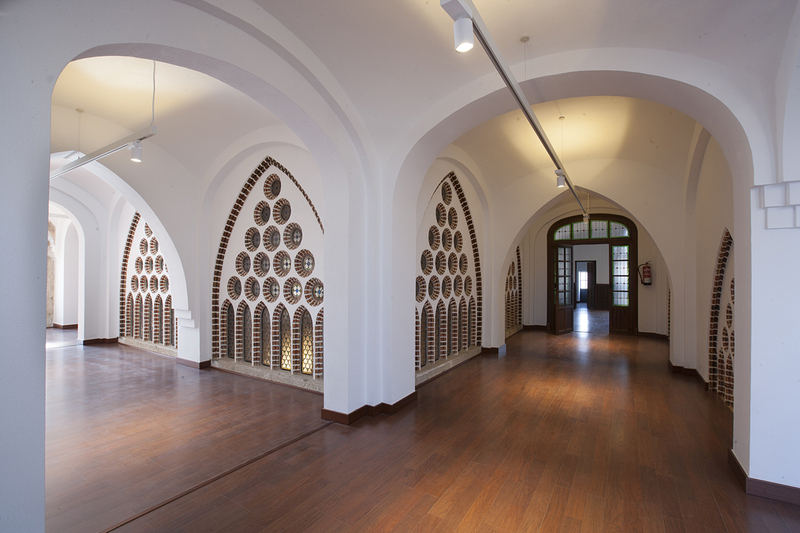 The scheme of glazed ceramics is repeated in this plant along its ribbed vaults. Equipped with this floor of Chapel, Throne Room, Gala Dining Room and Office and at the corners the bedrooms or ministries. Notable elements on this floor in terms of decoration are its starry capitals that remind us of the capitals of the Sainte Chapelle in Paris and its stained glass windows, Cistercian and modernist in the chapel throne room and dining room respectively. Second floor: Completely made by the architect Ricardo García Guereta, a very simple floor as a loft that contrasts with the lower floors. This floor has two balconies that act as a choir for the chapel.